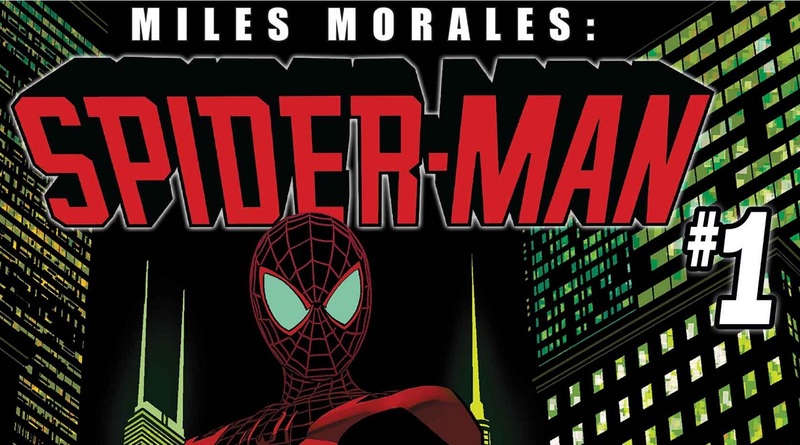 'Miles Morales: Spider-Man' #1 review: Accessible, relatable, first class heroism – AiPT! Accessible to all readers and a smashing start. It’s a big month for Spider-Man be it “Spider-Geddon” carrying forward, Spider-Man: Spider-Verse coming to theaters this week, or Saladin Ahmed and Javier Garron’s Spider-Man #1 arriving on store shelves. Correction, Miles Morales: Spider-Man #1 is hitting store shelves and it marks the triumphant return of the hero in his own series since Brian Michael Bendis left the character. This is an exciting time too because Miles is off to college, but not all-grown-up just yet. If you aren’t on board with Ahmed writing this series you haven’t read Black Bolt. Or Exiles for that matter. His pacing is good, the character writing tops, and his ability to draw you exceptional. He’s the right man for the job. Not to discount the artists–more on that later–but the key to a solid Spider-Man book is inner turmoil, but personality that is easy to glean even through the mask. Ahmed is capable of that and more. I wasn’t sure what to expect from this book seeing as the cover is dark and almost menacing. Does something happen to Miles to make him vengeful and out for blood? Nope! Ahmed and Garron effectively deliver a near flawless introductory issue to a new direction for Miles Morales. The book bounces around revealing Miles’ status with friendships, family, and love life all while he attends boarding school. It catches you up to speed and details with each relationship how things can be difficult. Case in point, Ganke is his best bud, but not his only buddy as he does keep track of the news to get Miles in gear for Spidey adventures. It’s also made very clear Miles is balancing his friends and family along with sleep. Like any kid in boarding school getting sleep is hard, but for Miles, it’s even worse. That thoroughly grounds the book and makes this a comic I suspect high school-age kids–or those who went through college–will relate to. That’s key to making this book accessible to readers. There are also meaningful elements that will stick with you. The book opens with Miles taking a class that requires he write in a journal. There are interesting captions here that detail how journaling can alleviate stress–something Miles desperately needs–and it adds something the character is juggling along with everything else. There’s also an interesting immigrant subplot that feels close to home given the current events in America. Garron gives the book a level of detail–a furrowed brow, details in the web–that firmly ground this book in reality. Even Miles’ sharp new haircut looks spot on and accurate in every panel. This is a level of detail we’ve come to expect in comics these days even though it’s almost not fair to require it. David Curiel’s colors do well to capture the realism Garron lays down though he gives things a bit of a pop that reminds us this is comics. Rhino’s scenes are quite fun due to the varying colors in his skin (and you gotta love the more realistic head with rhino eyes by Garron). There’s also an impressive use of sound effects along with accessible lettering in dialogue by VC’s Cory Petit. In the first half of the issue, there’s a lot of focus on Miles’ heroism mixed in with the exposition and character work. We get a single shot of him saving a baby from a burning building. We get scenes of him getting home late, but there isn’t much action. Yes, there’s action in the second half, but it seems lacking in this first half. There isn’t an immediate conflict. The book opens with a big splash of Spider-Man swinging at us–which is great–but a bit more action in this first half would elevate this to near perfection. About as good as a first issue can get. Ahmed and Garron get through a lot of build up to establish Miles’ new status quo and kick-start the conflict. This is a strong, layered, and highly relatable Spider-Man you can’t miss.